Amazing Deals: $100 Free to Amazon!!! Amazon just launched an awesome promotion where you can receive 20% off your purchase at Amazon.com, up to $100 — and 3rd party gift card purchases are included!!! 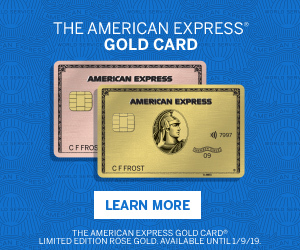 This promotion is only for American Express Membership Rewards earning credit card members where all you have to do is just use 1 Membership Reward point towards your purchase. This is the exact same promotion that launched this past summer and I am so excited to see it return! It is by far the most generous Membership Reward promotion we’ve seen! It is a great opportunity to take advantage of all of the Amazon Black Friday deals! Unfortunately, this is a targeted offer, so you’ll see have to see if you are able to activate the offer on this Amazon page. This promotion also doesn’t expire until December 23, 2018 but they could always pull it early. Shop at Amazon.com and add up to $500 worth of products (which must be sold and shipped by Amazon.com) to your Shopping card. Many merchant gift cards work as well as Amazon gift cards, so you can go ahead and search for merchant gift cards here. On the checkout page, you’ll see the 1 point applied and the 20% taken off. No promotion code needed! And since this promotion doesn’t require a coupon code, you are able to combine it with any codes that surface! Just remember to activate the promotion and apply 1 Membership Reward point. Enjoy your Amazon deal day! This is working for 3rd party GC’s but, this does not seem to be working for Amazon GC’s like it did this summer. Is there a hack to make this work? Just purchased $500 in safeway giftcards for $399.99. With the holidays season in full swing we will have no problem using these over the next 4 weeks. Safeway is expensive compared to Walmart grocery or Kroger. So not a food deal. When you live really close to a Safeway, and the nearest Walmart is 60 minutes away, then yes, it’s a deal.